DIVORCE 911 consulted with Howard Cattie of Career Oyster for this blog. People often think of a resume as being about what a person used to do. However, just because this is the prevailing opinion does not mean it is prevailing. So, when new ideas come out people often react with “gee, isn’t that different”. When you think about a prospectus or a company looking to make money, they write what they’re going to do in the future. In a career, why can’t you write a resume that projects your past experiences but projects it to the future of what you want to do? Brilliant! This is especially important for people that are making transitions, have gaps, have been home for a while, have volunteer experience, or are underemployed. This is the case because these people don’t want the same job, the low-end work, or something menial from their past. These people really want to get on a new track. You define a vision and write your resume forward looking to where you’re going with the objective of your background and the desire to support it. You get the confidence up to sell that through an interview and you’ll be able to present what you want to do and why. You don’t go through the posted ads because that’s American Idol. That is where everybody is competing and you’re just not going to get through the consensus. Instead, you find the companies you want, target the managers, and have an exploratory where you share your forward thinking ideas. Think you can’t do that? Sure you can! It always possible as long as you prepare properly, understand how to put your background together, and find what you want. You can get that job. This is a proven and successful way of finding the job you want and deserve. The corporate environments are doing this. They tell you about what they’ll be able to do in the future. It only makes sense for you to take the same approach. 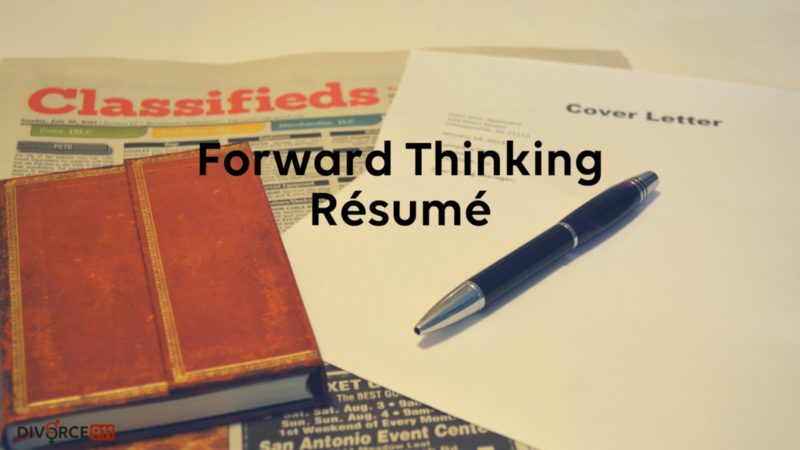 It’s a paradigm shift to have a forward thinking resume!